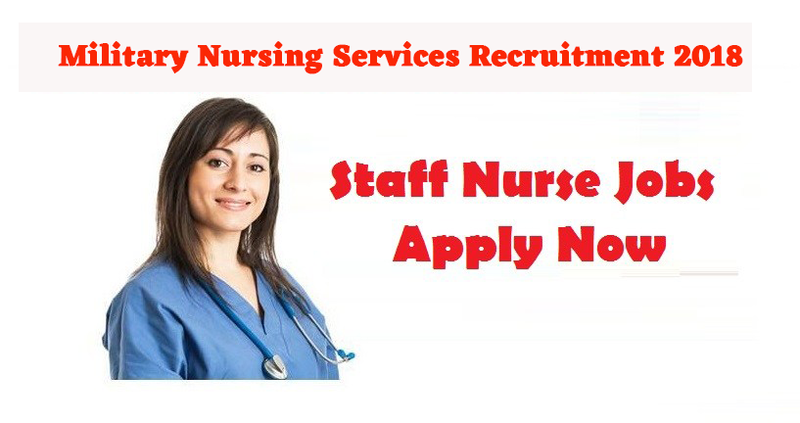 Military Nursing Services invited for nursing jobs in mumbai for female candidates 4 years B Sc. ( Nursing) Cource commencing in 2019 at College of Nursing of Armed Forces Medical Services. (Indian Army) Military nursing Service BSc Cource 2019. Age limit:- Candidate should be born between 01 October 1994 to 30 September 2002. · Candidates must have passed in the first attempt, Senior Secondary Examination (10+2) or equivalent (12 Years schooling) examination with Physics, Chemistry, Biology (Botany & Zoology) and English with not less than 50% aggregate marks as a regular student from a Statutory / Recognized Board University/ Examination Body. Candidates who will be appearing for Final year of qualifying examination during the current academic session may also apply provisionally. · The candidates finally selected for the course will have to submit proof of passing the qualifying examination with requisite subjects and marks before joining the Course. · Applications will be accepted as per the format attached to the advertisement only! · Complete the filled application form with your mentioned documents before 30 November 2018, apply online on the website of your application department! · Eligible applicants will be called for an objective type Written Test of 90 minutes duration likely to be held in Jan 2019, covering General English, Biology, Physics, Chemistry and General Intelligence. On the basis of merit of written Test, candidates will be called for interview during Apr 2019. Final selection will be based on Combined merit of Written Test & Interview, subject to medical fitness and vacancy in each College.